On the 7th of November I'll be leaving my day job heading up developer relations at Pusher. Why? To devote all my time and effort toward ensuring ViziCities gets the chance it very much deserves. 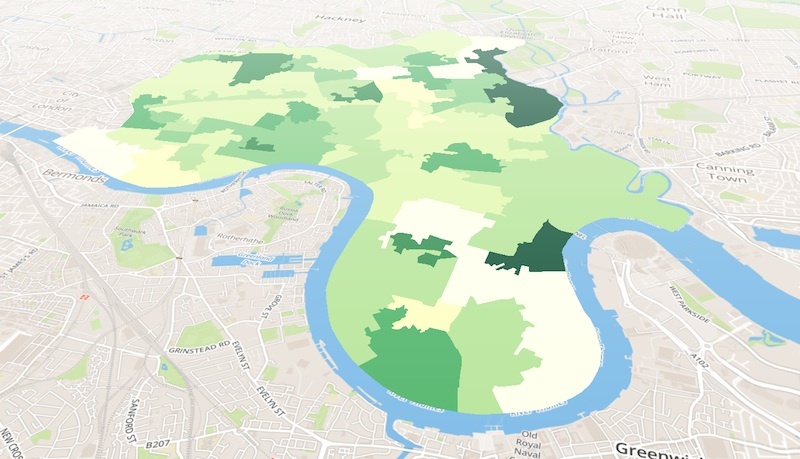 I'm looking to fund the next 6–12 months of development and, if the opportunity is right, to build out a team to accelerate the development of the wider vision for ViziCities (beyond 3D visualisation of cities). I'm no startup guru (I often feel like I'm making this up as I go), all I know is that I have a vision for ViziCities and, as a result of a year talking with governments and organisations, I'm beyond confident that there's demand for what ViziCities offers. Want to chat? Send me an email at rob@vizicities.com. I'd love to talk about potential options and business models, or simply to get advice. I'm not ruling anything out. Leaving your day job. Are you crazy? Probably. I certainly don't do things by halves and I definitely thrive under immense pressure with the distinct possibility of failure. I've learnt that life isn't fulfilling for me unless I'm taking a risk with something unknown. I'm obsessed with learning something new, whether in programming, business or something else entirely. The process of learning and experimentation is my lifeblood, the end result of that is a bonus. I think quitting your day job without having the funding in place to secure the next 6 to 12 months counts as immense pressure, some may even call it stupid. To me it wasn't even a choice; I knew I had to work on ViziCities so my time at Pusher had to end, simple. I'm sure I'll work the rest out. Let me be clear. I thoroughly enjoyed my time at Pusher, they are the nicest bunch of people and I'm going to miss them dearly. My favourite thing about working at Pusher was being around the team every single day. Their support and advice around my decision with ViziCities has really helped other the past few weeks. I wish them all the best for the future. As for my future, I'm absolutely terrified about it. That's a good thing, it keeps me focused and sharp. Over the past 18 months ViziCities has evolved from a disparate set of exciting experiments into a concise and deliberate offering that solves real problems for people. 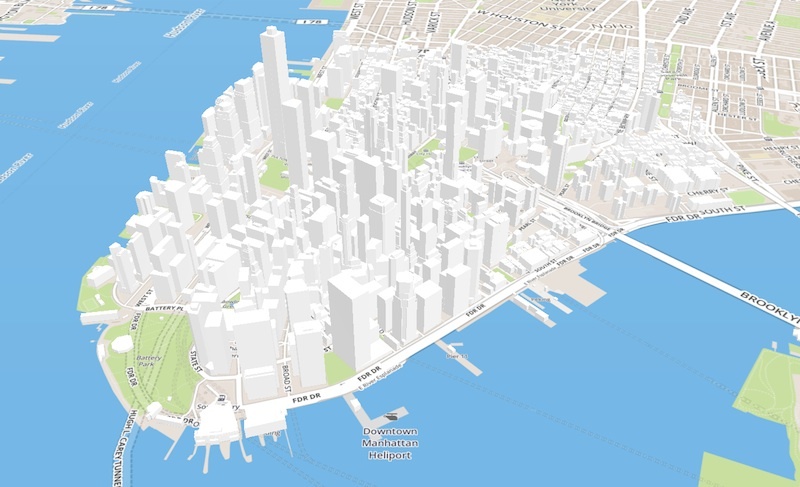 What has been learnt most over that time is that visualising cities in 3D isn't what makes ViziCities so special (though it's really pretty), rather it's the problems it can solve and the ways it can help governments, organisations and citizens. That's where ViziCities will make its mark. After numerous discussions with government departments and large organisations worldwide it's clear that not only can ViziCities solve their problems, it's also financially viable as a long-term business. The beauty of what ViziCities offers is that people will always need tools to help turn geographic data into actionable results and insight. Nothing else provides this in the same way ViziCities can, both as a result of the approach but also as a result of the people working on it. ViziCities now needs your help. I need your help. For this to happen it needs funding, and not necessarily that much to start with. There are multiple viable business models and avenues to explore, all of which are flexible and complementary, none of which compromise the open-source heart. 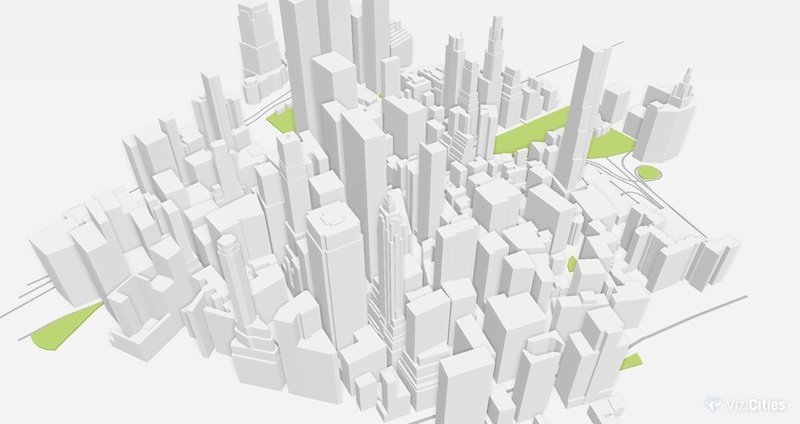 I'm looking to fund the next 6–12 months of development, and if the opportunity is right, to build out a team to accelerate the development of the wider vision for ViziCities (beyond 3D visualisation of cities). I'll be writing about the quest for funding in much more detail. This is the part where you can help. I can't magic funds out of no where, though I'm trying my best. I'd love to talk about potential options and business models, or simply to get advice. I'm not ruling anything out. Want to chat? Send me an email at rob@vizicities.com.